Smokeable clothes could be the latest innovation in wearable technology to take the world by storm, according to The Daily Dot. Ahead of the game are two names: Hood Horkerz and Vaprwear, the rival brands competing for primary position. In the dispute over which budding entrepreneur came up with the idea first, the two have launched separate companies with undeniably similar designs. First and foremost, this is a hoodie. But this, VaprWear claims, is “the world’s greatest hoodie” as the drawstrings double as a vaporisor, meaning that people can smoke via the garment. This quirk is certainly inventive. However, their target clientele is pretty modest, limited to those who want to smoke their favorite “e-juice, oil blend, dry herb, and wax”, which Vaprwear insists their embedded vaporizer is equipped to handle. While the two companies continue battling it out to be the king of the smokeable clothing boom, those of us who prefer our regular clothes can sit back and marvel at the future of wearable technology. Put That Hoodie in Your Pipe and Smoke It�Literally! Smokeable clothes could be the latest innovation in wearable technology to take the world by storm, according to The Daily Dot. Ahead of the game are two names: Hood Horkerz and Vaprwear, the rival brands competing for primary position. In the dispute over which budding entrepreneur came up with the idea first, the two have launched separate companies with undeniably similar designs. First and foremost, this is a hoodie. 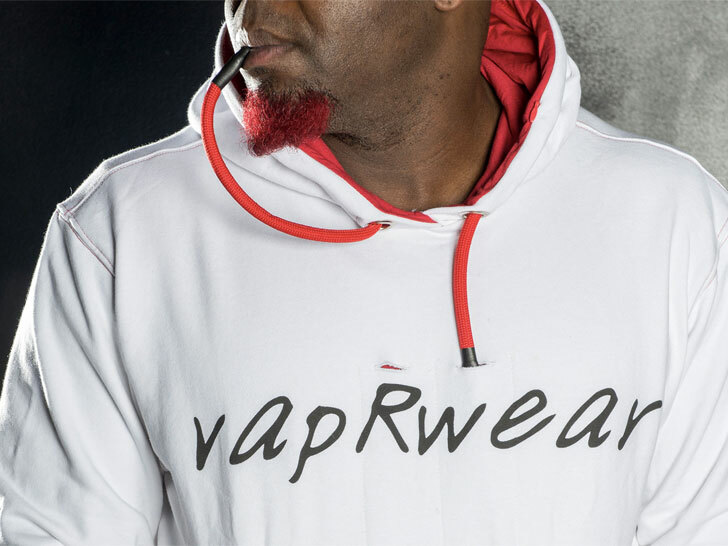 But this, VaprWear claims, is "the world's greatest hoodie" as the drawstrings double as a vaporisor, meaning that people can smoke via the garment.